For many people, the idea of investing is scary. What investments should a person make? Where do those investments go exactly? Are the investments ethical? Should I get dividends? Is investing really only just for wealthy people? 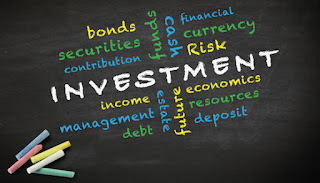 Mutual funds are a very popular form of investing. What a mutual fund is is an amalgamation of many different stocks. Together, they make up a mutual fund. You can either get a mutual fund that is managed or one that follows the index. Managed funds require higher fees since the managers need paid. These fees can be triggered at the time of purchase, during the holding period as ongoing fees and even after you sell. These are referred to as front end load fees, expense fees and back end load fees. The cheaper option is to get an index fund. Index funds follow a specific index, like the Standard & Poor's 500. Basically, if the stock market rises, your fund will rise. If it falls, your fund’s value will fall. Most people lean towards index funds. Exchange traded funds are commonly referred to as ETFs. These are very, very similar to mutual funds. There are a very small differences though. For one, you can buy shares of an ETF at any time during the market day. Mutual funds purchases must wait until day’s end. However, ETFs don’t offer partial buys. This makes it a bit of a hassle since you can’t always invest a nice even number, like $500 per month into an ETF. Their fees are often slightly lower than even with an index fund though. Individual stocks can be your ticket to success. Buying individual stocks will give you the highest chances of great success. However, buying stocks this way can be time consuming. Picking stock after stock will have you wanting to go the easy mutual fund or ETF route. To make things easier, you can use a service like Portfolioand.Me. It uses artificial intelligence to give you buy recommendations once you pick your first stock. It can recognize the qualities you value in a stock. Don’t like relying on others? You can own your own business. Have you considered it? It can work out quite well. I know many people who prefer to invest in themselves. This may be the best path for you. Whatever investing option you decide, what’s important is you’re saving and investing. That’ll take you far in life. Good luck!